I've been in cleanser testing mode this past summer. I had quite a few that I rotated into my routine over the past couple months and 4 of them stood out to me the most. Here are my thoughts on my each. 1. Niod Sanskrit Saponins - The buzz is REAL regarding this brand. There are so many reviews surrounding the Niod skincare line, and I am slowly coming to understand why. I have already reviewed their Flavanone Mud on the blog, and was excited to add this popular cleanser to my routine. Technically it's a cleansing balm, but has a more unique texture than what I am used to with similar balms. It has a slight whipped feeling, but is easy to massage into the skin. I have been using this as a second cleanse, and find that it works miracles at helping decongest, balance out the oils on the skin as well as prevent and treat breakouts. Next up on my list to try from this brand are these serums! 2. Cle de Peau Beaute Cleansing Cream Oil - While this texture is smooth like a cream, it has the slip of an oil and does an absolute stellar job of removing makeup. It has a light and fluffy texture so I prefer to use it as a second cleanse, massage into the skin, let it sit for 5-7 minutes and then remove with a warm cloth. It's a decadent formula but one of the softest textures I have felt in a long time. Completely splurgeworthy. 3. 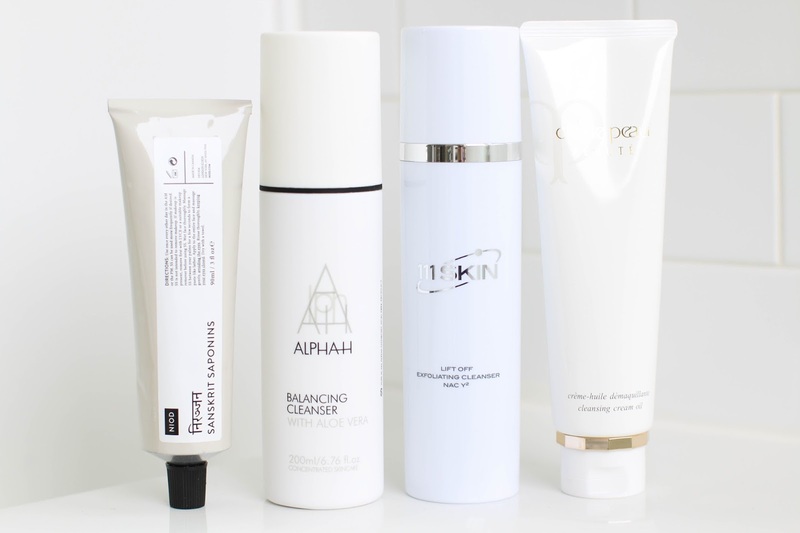 Alpha H Balancing Cleanser - While I love an oil or rich balm for a first cleanse or to remove my makeup, I gravitate towards a rich creamy cleanser a few times a week as a second cleanse. The added moisture helps to nourish my skin and keep it balanced. This Alpha H cleanser contains no soap or drying agents and is great when my skin is feeling extra dehydrated or irritated. I tend to add this into my routine 4x/week and definitely plan on increasing that as the colder weather begins to come. 4. 111Skin Exfoliating Cleanser - Cleansing milks and creams are a staple for me as a second cleanse most of the week, but I do save 2-3 days for a gel or mild exfoliating cleanser. 111Skin is a new brand to me so naturally I wanted to test out a cleanser first. 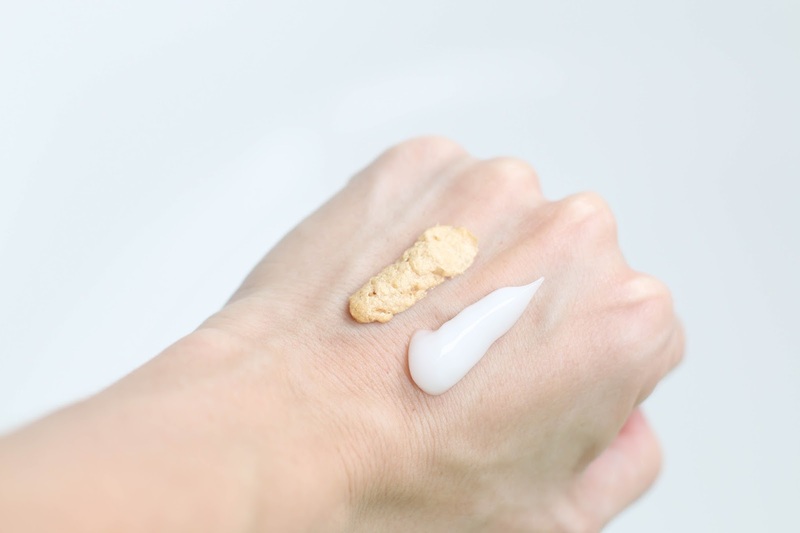 If I have never used a brand before, I will always go for a cleanser or mask as my first introduction, and then if I am liking the product(s) I will venture into serums and moisturizers. Upon first trying this, I had my normal hesitation because the texture is a gel and I am always nervous it will be too 'foamy', thus drying the heck out of my skin. I massaged this into my face and waited for any sighting of foam and instead it was smooth, lightweight and extremely comfortable. 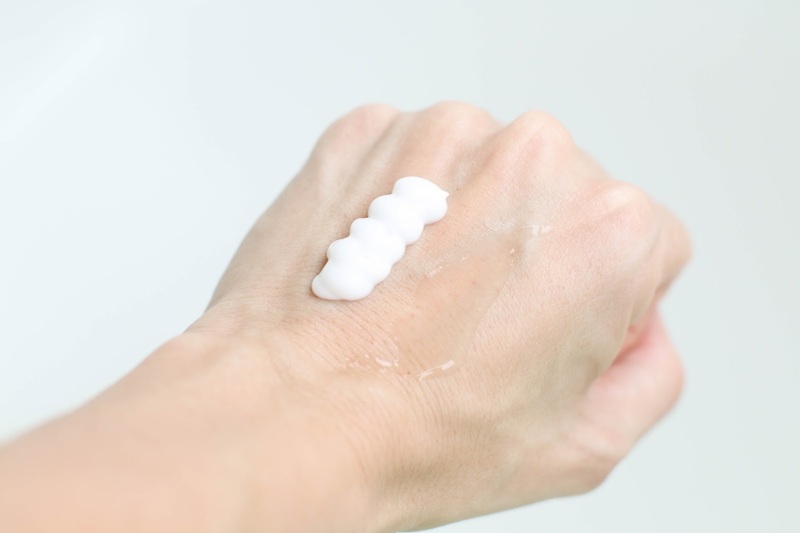 The cleanser contains various exfoliating acids so my skin immediately felt smoother, and after using in my routine for a number of weeks - I could see a definite difference in texture and overall tone.